This was after a full final proof of three hours! 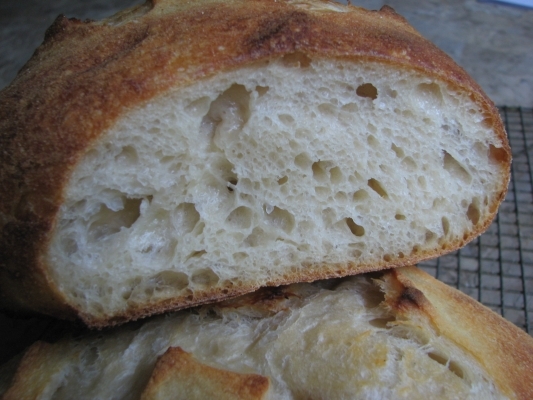 The oven spring on these loaves was terrific as you can see and the crumb was nice and open, it was also very sour. There was a noticeable lack of blisters as well, which I wasn’t sure about. I am certainly not done experimenting with this fun flour. Can you imagine that I haven’t even tried to bake up some bagels or pizza with it yet? I bet Peter Reinhart would like to try this flour for his wonderful pizzas if he hasn’t already. 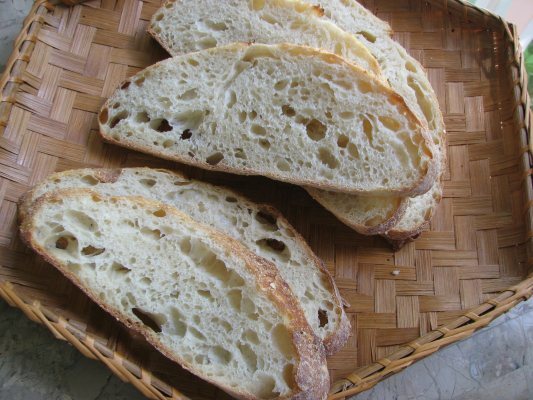 The flour is soft as silk and dough made from it is very strong and stretchy and can take a lot of abuse. Because of the water absorption problem, I had to come up with another formula for this high gluten flour and on paper it is 67.6% hydration, but real feel, it feels like 60% hydration. It is actually easy to handle and you don’t even need any flour on the work surface when shaping. Here is the formula I used to make up this dough with, don’t hestitate to experiment with the timing. Remember this formula is for very high gluten flour, it won’t work very well with a regular bread flour because the resulting dough would be too wet. Mix all ingredients together except salt and then allow the dough to autolyse for one hour. 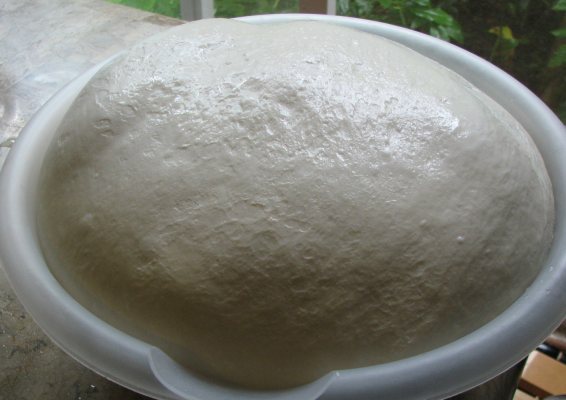 Allow the dough to bulk ferment for 4 – 6 hours – folding the dough once each hour. 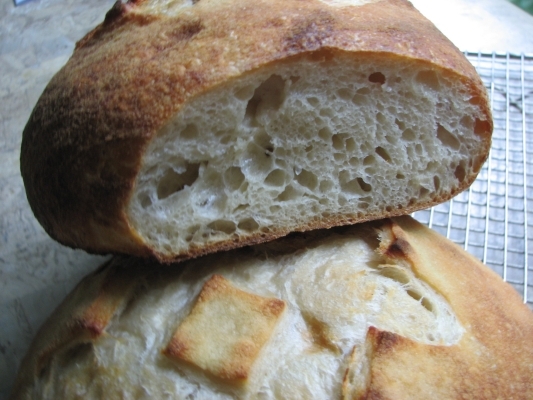 Refrigerate dough (covered) overnight or over two nights. 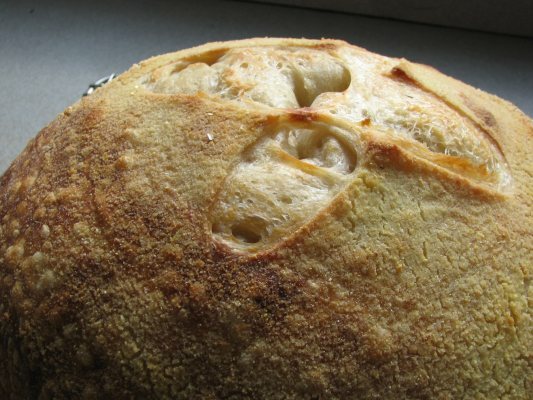 Take dough out of the refrigerator and warm up for an hour or two. 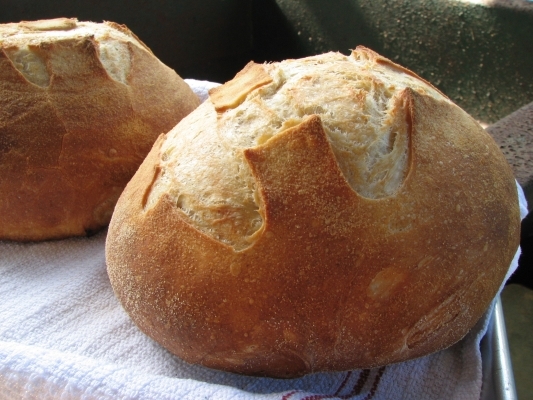 Shape dough into loaves at 2 lbs each. Bake as usual using roasting pan method of steaming (450 degrees for 20 minutes with roasting lid, then remove lid and bake at 425 for 10 – 15 minutes more (see video on my site: http://www.northwestsourdough.com/videos.html). 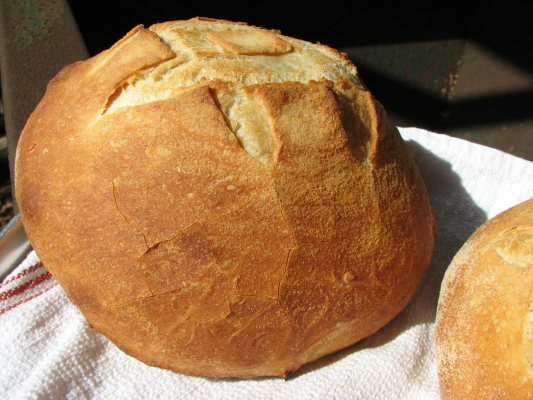 If you follow this formula and make two -2lb loaves of bread, you should have 1 lb 4 oz of dough to put back into the refrigerator for the next batch (there is a few oz of extra for dough left in bowls and on spoons etc). 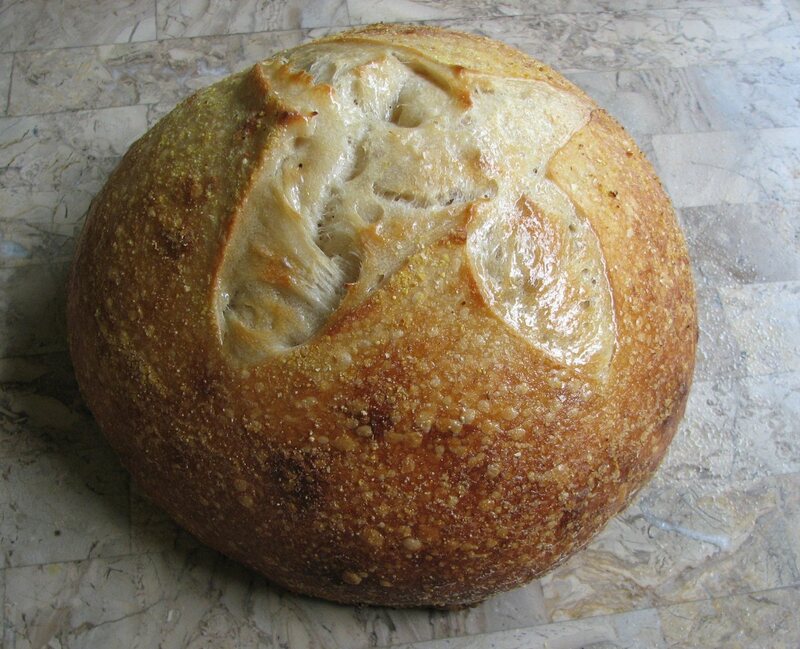 I used San Francisco Starter, Power Flour, catchment water (rain), diastatic malt and non-idodized salt. This was very fun experimenting. 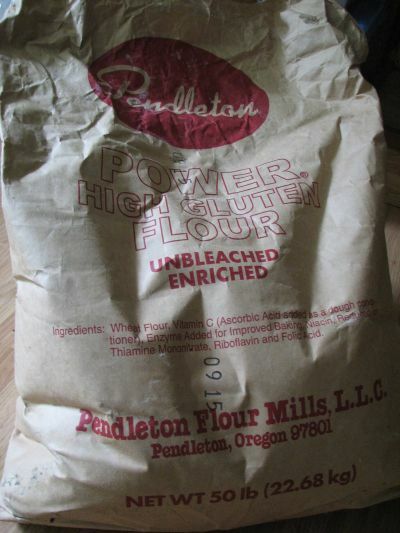 I am pretty sure that the San Francisco Bakeries use this flour, or one just like it. 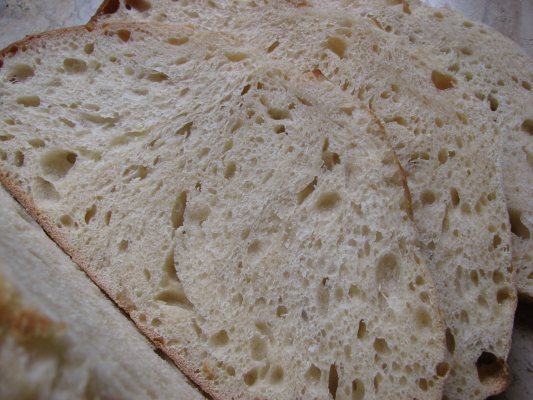 Normal Bread flour doesn’t come close to the amount of fermenting abuse that this flour can take. 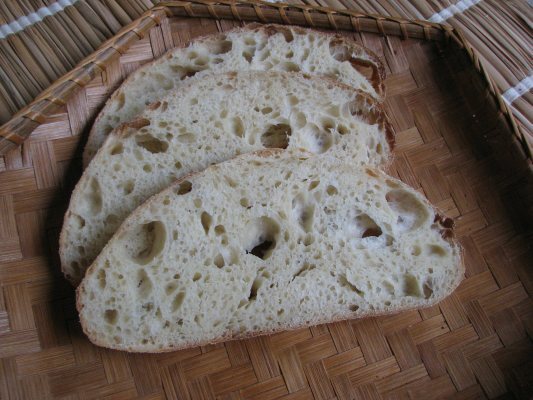 I hope you can obtain some hight gluten flour to work with and experiment with. Go to your local bakery and just ask if they have a bag you can buy. That is how I got my Power flour, at a nice little bakery in Hilo. 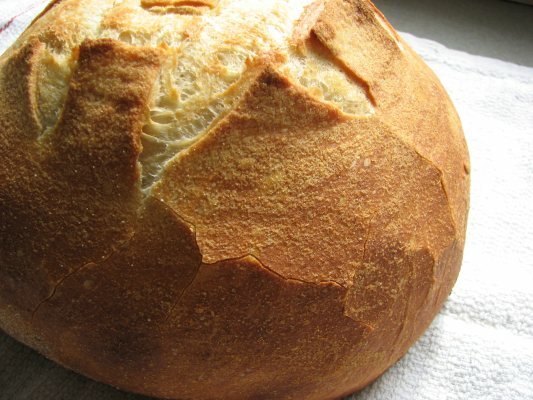 I will be submitting this post to Yeastspotting, where you can always find Susan having fun baking bread. 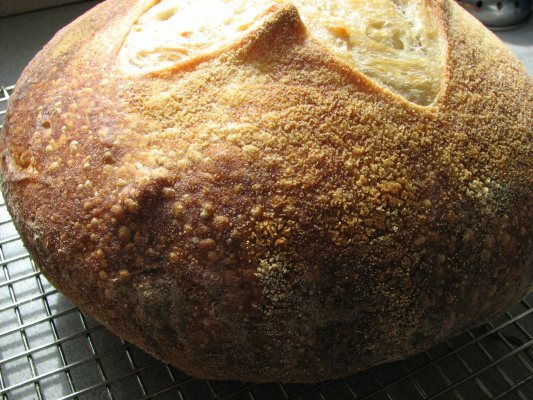 Get, "Make Your Own Sourdough Starter" FREE!